As my bathtub toy Sally the Seal over on my main album today didn't really cut it for the Wild June Challenge, though she was super for the June Words "swimming" today, I thought I had better get out and take another for Wild June. There is always something wonderful to me about wildflowers along the edge of a body of water. Simple daisies caught in the light always make me smile. Love the twist of taking the shot from their backside and the water in the background. I love this composition - I am really envying your completion of all these challenges and wonderful photos!! Maybe when work is a little quieter in the summer. Wonderful comp. they are beautiful!! The water is certainly reflecting back on to them - a very pretty capture. 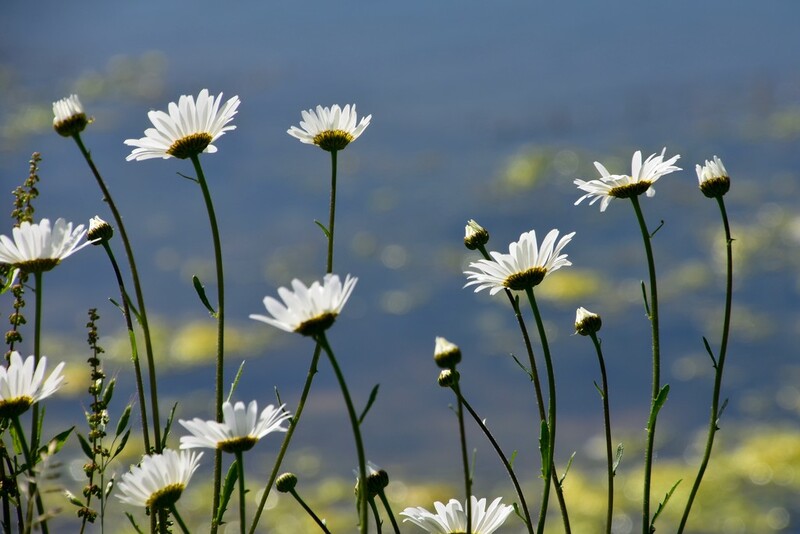 pretty as a picture, daisies are a pretty flower in the wild. So pretty...love the composition. Fav.